It’s useful to have a bit of guidance when it comes to professional development. Download this free document from the British Council. It’s a CPD framework highlighting various stages of development and key professional practices. It might help you recognise the areas you need to focus on. Get a copy of this book – it’s a perfect ‘CELTA to DELTA’ resource. It’s full of self-evaluation tasks and ideas for trying out new things in class. Some of my ideas in this post are already mentioned by Duncan Foord, but he’s got plenty more to offer. While you’re on Amazon, you might as well pick up the whole DELTA publishing range as I think they’re the best series around. This was on my reading list for the DipTESOL. It’s full of ideas for focused observation on other teachers. It good to have direction in your peer observations and look at specific things you (or the teacher you’re observing) want to improve on. Looking for a good resource for improving your subject knowledge? This has plenty of short practical tasks to help you. Actually, this has been sitting on my shelf since finishing my diploma in 2014. Flicking through it again, I forgot how good it actually is! You can download the book FOR FREE!!! It’s a quick and easy book to get you in ‘reflection mode’ if you’re preparing to take a diploma course, or just to help you out post-CELTA. No, I’m not just promoting them because I work there! The Research and Publications section on the BC site is a really useful resource for all teachers. If you’re interested in historical developments in ELT, the ‘Milestone Publications’ section is really interesting. For practical activities, ‘Creativity in the Language Classroom’ is a worthy download. I won’t list an abundance of websites or blogs, you’ll find them yourself. Here are some more general tips for online development. 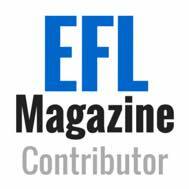 There are plenty of good Facebook groups and pages for finding ideas and engaging in conversation about ELT. A good page to try is British Council Teaching English (which is liked by nearly 4 million FB users) and Innovative Teachers of English. That’s a public group administered by FluencyMC (Jason Levine) which shares some really useful posts. There are some useful social bookmarking sites which help you record online resources you come across. I’ve just signed up for Pinterest as people tell me it’s really useful, while Sandy Millin has been plugging the idea of Diigo so I’ve just got an account for that too. Once I get these built up a bit they will be my very own reference library. I wish I’d used these when I first started teaching, there must be so many good online articles and resources I’ve forgotten about. Don’t forget Pindex – this is an up and coming pinboard specifically for education. It’s well worth a look. Even if you don’t have a blog, register for a WordPress account to get the Reader. 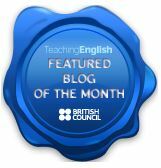 You can follow interesting blogs on ELT, and their latest posts will appear in your Reader feed. It’s a very useful tool. For ideas on blogs to follow, there are a few listed in the side bar on this blog. Massive Online Open Courses. Things that you find on sites like FutureLearn. I’ve done a couple of these and I’ve mentioned these in previous posts. I’ve heard there are a few good courses for developing your teaching skills – here’s a link to one course run by the British Council. Best of all, these courses a free so you can’t really go wrong. I recommend Cambridge English Teacher. It’s pretty cheap to sign up for and it offers quite a few online courses to develop your skills. There are also discussions and guest consultants who can answer your questions on various topics. We don’t all have time to sign up for online courses, write blogs, etc. Sometimes we just want some quick tips and ideas to help us think about what we’re doing in class and why. Martin Sketchley has responded to this by creating a new blog of quick tips. It will be good for a daily dose of ELT. 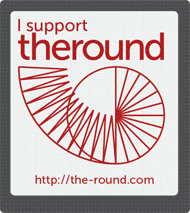 There are plenty of these available, and some big online conferences coming up. The Teaching for Success conference is in October, and will feature plenty of well-known TEFLers. Sites like OUP often host free webinars. 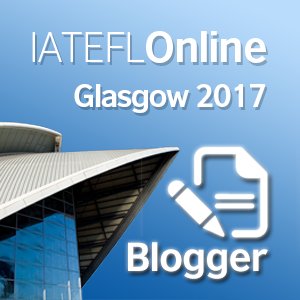 Talks from the IATEFL conference can be viewed online too. Go to the PDF Geni site, and type in a search topic. Hey presto, downloadable articles. A useful resource for those who are thinking of taking a diploma course and are keen to read around various topics. A few more practical tips ideas. Improving your practice takes time. Don’t try and run before you can walk, and don’t be afraid to identify weaknesses. Action research and reflection can really help – this links to documenting your progress. Open cupboards you’ve never opened. Find out what’s under that pile of coloured paper. Ask a teacher what game they’re going to play with those giant dice. Find the dustiest ELT cookbook on the shelf and flick through it. Fleetingly mention that you want to try a particular method, and wait for another teacher to say ‘I think we’ve got something related to that in the staffroom somewhere’. You’ll be surprised. This approach is what led me to try out Grammar by Thornbury, the Book of Pronunciation, Teaching with Bear(!) and Cuisenaire Rods. ‘I’m not sure that’s me’. Why not? Have you given it a go? I was pleasantly surprised when I took my CELTA YL extension course – teaching kids wasn’t as scary as I expected. I had to step out of my comfort zone to find that out though. Peer observation (i.e. watching other teachers, having them watch you) is one of the most useful ways to get tips and feedback on your practice. Rapport and professional respect for your colleagues is a really important part of this process. I’ll be doing this for the first time in October. Scary. If you’re anything like me then yeah, this is a big commitment. This is a great list of ideas for in-house training and development sessions from Sandy Millin. It might seem like a big undertaking to get groups like this up and running, but it’s certainly worth exploring. The biggest benefit you can get from this would be attending the conference. If you can’t get to the conference then the benefits of joining IATEFL may be limited (although please comment if you think it’s more worthwhile). So, what other ways can teachers take control of their own development? There was 30, can we make it 50? Totally agree with all your points and the last one is very important. I’ve worked in so many staffrooms where a few teachers are so negative or moan until the cows come home. Perhaps three extra things you could think about is recording and sharing your lessons to teachers and viewers around the world. The other area of teaching you could consider might be online teaching – I have a possible blog post/article about this in the near future. It is the future of English language teaching. 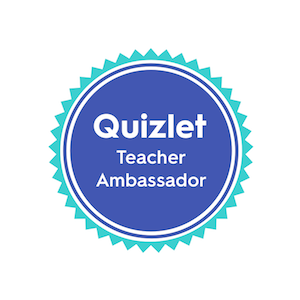 Finally, you could consider supporting an association or assisting an association related to teaching English such as IATEFL or a special interest group. Anyhow, a great post Pete and cheers for linking my posts on developing as a teacher. By the way, I also wrote a post on developing teaching strategies focussing on an article related to Teacher development. Take a look if you are interested in reading further. Great collection of tips Pete. There is an option for new teachers joining IATEFL called ‘Early Career Teachers’ – if you’re within your first 5 years of teaching you can get two years for the price of one.